Given the complexities of the NC Worker’s Compensation Act, we think it’s a good idea to hire a Comp Lawyer in Greenville NC. While you can always try to represent yourself, that can be difficult to do, especially if you’re catching heat from your employer about filing a claim in the first place. That may seem a bit odd? A lawyer who isn’t trying to pressure me into hiring his firm? What’s the catch? Actually, there isn’t a catch. In fact, we don’t even charge anything to sit down and talk. Whether it’s an accident injury case or a work-related injury, we offer what lawyers call a Free Consultation. We get that bringing a claim for a workplace injury may not be what’s best for you or your family. Even if you have a valid claim and have suffered some serious injuries, you may be afraid what will happen if you file for Work Comp. That’s very much part of the consideration when we evaluate your case. We want to know what you think and what your goals are. How Do Lawyers Charge for Legal Services? In NC Work Comp cases, we charge what’s called a “contingency fee” or “contingent fee.” Our legal fees are contingent upon success. We define that as obtaining a settlement or verdict after litigation. If we recover nothing or if the claim is ultimately rejected, we do not collect a legal fee. As such, we want to make sure be bring valid claims. We want to provide information, helping in the decision as to the most appropriate manner in which to proceed. Part of contingency fees involves working out what exactly the legal fees and what costs of bringing a claim with the Industrial Commission might be. What Do Workmen Compensation Lawyers Do? The first thing we do as lawyers is to explain the legal system and your legal rights under the NC Comp laws. Not knowing what to do or expect can cause a fair amount of anxiety. Comp claims in North Carolina can be pretty complicated. That’s especially true if there are permanent injuries or limitations in your ability to perform your job duties. If you’re laid up at home or even worse, stuck in a hospital bed we can explain your legal rights, give you options, and if appropriate, make sure all the proper paperwork is filed to preserve the claim. We’re more than willing to help take the load off your shoulders and let you focus on getting better. 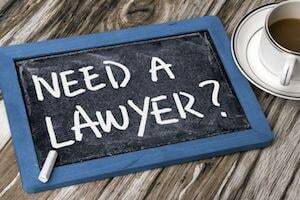 We think choosing a lawyer should involve more than a Google search of, “Lawyers near me.” While that lawyer may be close, and assumedly convenient, that doesn’t mean they help people with injury cases or even Work Compensation claims. Are you a Board Certified Specialist in Worker’s Compensation? Do have a law office in Greenville NC? What percentage do you charge in Legal Fees? Will you put your fee structure in a written contract? Should I hire a Comp Lawyer?